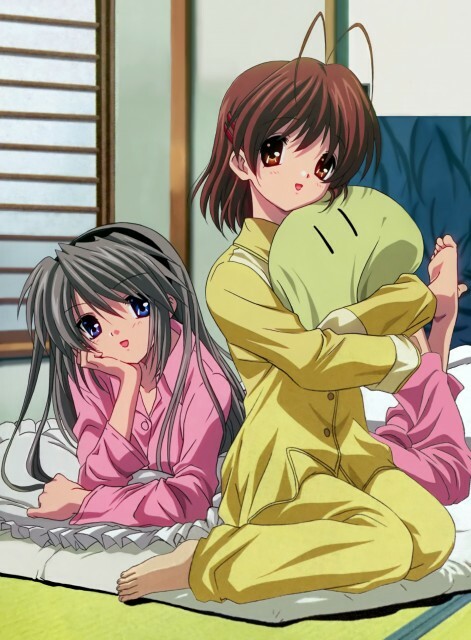 Features Sakagami Tomoyo and Furukawa Nagisa. Found on an imageboard, not my scan. Congratulations, your image has been added to our CLANNAD-Fans group gallery! I like their pajamas, very colorful. I wish Tomoyo had a teddy bear that was like her bear costume. I love this anime! Thanks for share !